Lick 2ddd - . :Shred Tricks - Shred Guitar Lessons by Eric Maldonado:. Here we have a sweet hybrid picking lick in D Pentatonic. The concept for hybrid picking here is to always pluck(with your finger) the note that is on the bottom of the pattern. So every B string note, and E string note in the first half of the lick are going to be plucked with your finger(I use my middle finger). And every G string note(first half of the lick) and B string note(second half of the lick) are going to be picked with the pick. 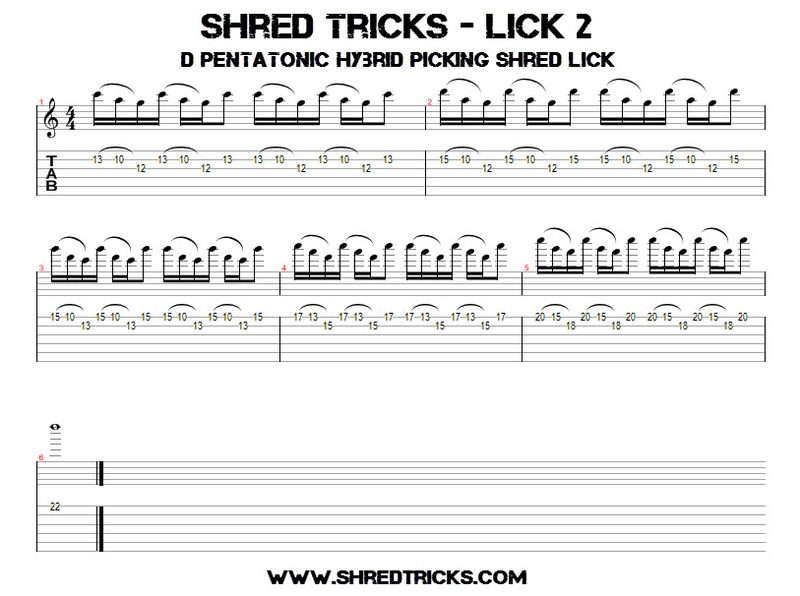 A pretty cool and straight forward shred lick. Influenced by Ethan Brosh and Greg Howe's hybrid picking style.